Damascus faces growing resentment from its core support base amid a deepening economic and social crisis as high death tolls, collapsing infrastructure, and food shortages continue to plague Syria’s coast. At the foot of the Alawiya Mountains along Syria’s coast sits the 4,000-year-old city of Jableh. Once a crusader stronghold, the city is now populated primarily by Alawite Syrians, members of Bashar al-Assad’s minority religious group. Since the outbreak of the war and the desertion or death of nearly half1.http://iswresearch.blogspot.com/2014/12/the-assad-regime-under-stress.html of the Syrian armed forces, Alawites have borne an increasingly heavy burden defending Assad. Despite the fact that their homes lie miles from the nearest frontline, coastal Alawites form the largest concentration of fighting forces on2.https://twitter.com/G_P_Waters/status/900427377960005633 nearly every3.https://twitter.com/G_P_Waters/media front,4.https://twitter.com/G_P_Waters/status/899370216949510145 fighting and dying in every corner of Syria. A 2013 profile by the pro-government al-Akhbar5.http://www.al-akhbar.com/node/196050 referred to Jableh as “the main reservoir of the Syrian army, providing thousands of poor soldiers and officers who volunteer because of the lack of employment opportunities in the coast.” As early as 2015, concerns were raised about the irreversible losses inflicted upon the Alawite community.6.http://www.telegraph.co.uk/news/worldnews/middleeast/syria/11610482/Tide-of-Syria-civil-war-turns-against-Assad-as-rebels-make-sweeping-gains.html While some of these early estimates were exaggerated,7.https://kyleorton1991.wordpress.com/2015/05/20/how-many-alawis-have-been-killed-in-syria/ the situation has not improved in the years since. 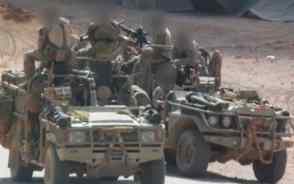 As the war grew more chaotic, many communities across Syria formed their own militias, whether as private entities like Suqour al Sahara,8.http://smallwarsjournal.com/jrnl/art/syria%E2%80%99s-desert-hawks-and-the-loyalist-response-to-isis sect- and local-based militias like Qardaha’s Alawite Saraya al-Areen,9.http://www.aymennjawad.org/19451/saraya-al-areen-an-alawite-militia-in-latakia or as part of the broader community-based Local Defense Forces.10.http://www.aymennjawad.org/2017/05/administrative-decisions-on-local-defence-forces Alawites from the coast also fight in the few remaining Syrian Army-affiliated units: in particular, parts of the Syrian Republican Guard and the 4th Armored Division. Militia and army units often recruit men from the same town or region, and thus combat-related deaths within these communities follow an ebb and flow depending on when and where their militias are deployed. 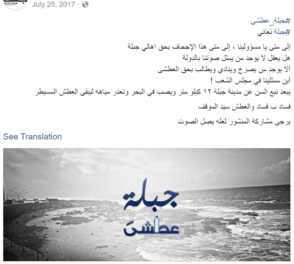 Yet while other towns along the coast have enjoyed some reprieve during a recent lull in fighting, Jableh continues to lose its sons, brothers and fathers at an unsustainable rate. Pro-government communities and groups often share martyrdom notices when their family or friends are killed in combat. Commonly found on local Facebook pages, these martyrdom posts provide a key insight into the effects of the war on particular communities. Since late March 2017, I have been recording these martyrdom posts from across the country. Yet among every town and city in Syria, Jableh remains the most heavily and consistently affected by reported battlefield losses. During a 155-day period, 155 men from Jableh and the surrounding countryside were reported killed in action. Using Kyle Orton’s population estimates,11.https://kyleorton1991.wordpress.com/2015/05/20/how-many-alawis-have-been-killed-in-syria/ the reported population of 53,989 for Jableh in 2004,12.https://www.citypopulation.de/Syria.html and the age structure of the Syrian population,13.https://www.cia.gov/library/publications/the-world-factbook/geos/sy.html I estimate that in 2017 Jableh has lost nearly 1.5 percent of its pre-war male population aged 15-54. If this rate continues through the end of 2017, as much as 2 percent of Jableh’s 2010 fighting age males will have died. However, it should be noted that martyrdom posts are hardly inclusive, as poor and low-ranking fighters are often left out, with no family to share the news of their death. The mortality rate is only expected to be higher in reality. It’s also likely that Jableh experienced a higher rate of death during the previous five years, considering that 2017 is the least deadly year of the war since 2011, according to data collected by SOHR. 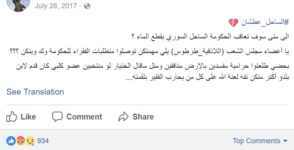 In fact, al-Akhbar’s 2013 article14.http://www.al-akhbar.com/node/196050 claimed there were already 4,500 martyrs from the Jableh subdistrict, the equivalent of 6 percent of the male fighting age population. The same article claimed that neighboring villages had lost up to 20 percent of their fighting age male population in the first two and half years of the war. A 2015 article by the pro-opposition al Souria cited15.https://www.alsouria.net/content/%D8%A8%D8%A7%D9%84%D8%A3%D8%B1%D9%82%D8%A7%D9%85-%D9%82%D8%B1%D9%89-%D9%85%D9%88%D8%A7%D9%84%D9%8A%D8%A9-%D9%81%D9%8A-%D8%A7%D9%84%D8%B3%D8%A7%D8%AD%D9%84-%D8%AE%D8%B3%D8%B1%D8%AA-%D8%A3%D9%83%D8%AB%D8%B1-%D9%85%D9%86-%D9%86%D8%B5%D9%81-%D8%B4%D8%A8%D8%A7%D9%86%D9%87%D8%A7-%D8%A8%D8%B3%D8%A8%D8%A8-%D8%AF%D8%B9%D9%85-%D8%A7%D9%84%D8%A3%D8%B3%D8%AF claims from local coordination committees of losses as high as 65 and 70 percent in some of Jableh’s surrounding villages. Anecdotal evidence also points to the drastic population loss of the city and outlying areas. 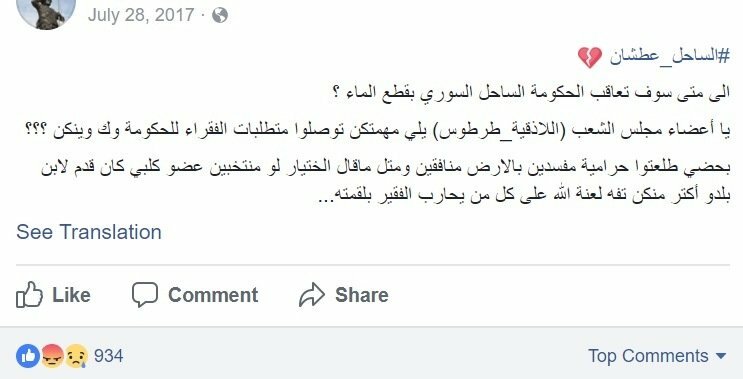 A former Jableh resident with family still residing in the city told me that “the mosque was praying 24/7, every time an Alawite died.” In late July, a football match advertised as having “thousands of visitors” could16.https://www.facebook.com/Jableh.News.Network/photos/pcb.1934250616900042/1934250110233426/?type=3&theater not fill half of Latakia’s 12,000 seat stadium.17.http://www.alwehda.gov.sy/index.php/%D8%A7%D9%84%D9%84%D8%A7%D8%B0%D9%82%D9%8A%D8%A9/2056-%D8%A7%D9%84%D9%85%D9%86%D8%B4%D8%A2%D8%AA-%D8%A7%D9%84%D8%B1%D9%8A%D8%A7%D8%B6%D9%8A%D8%A9-%D9%81%D9%8A-%D9%85%D8%AD%D8%A7%D9%81%D8%B8%D8%A9-%D8%A7%D9%84%D9%84%D8%A7%D8%B0%D9%82%D9%8A%D8%A9 And in April of this year, pro-opposition activists cited Russian sources18.https://www.middleeastmonitor.com/20170420-150000-alawites-killed-in-6-year-syria-war/ claiming that 150,000 Alawites had been killed since 2011, an estimated 23 percent of the Alawite fighting age males. 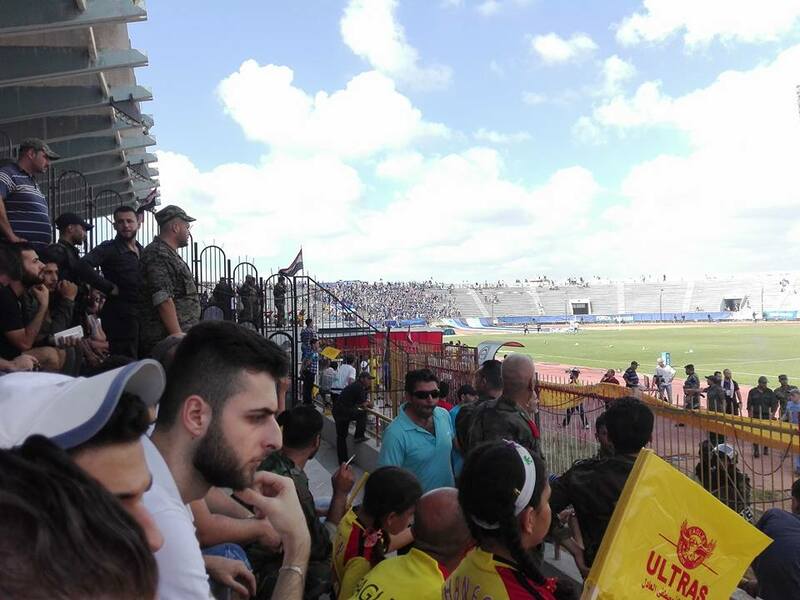 A July 28 football match in Latakia’s 12,000-seat stadium. Besides the demographic crisis, the growing economic and structural disaster plaguing the coast is only increasing resentment among these core loyalist communities. 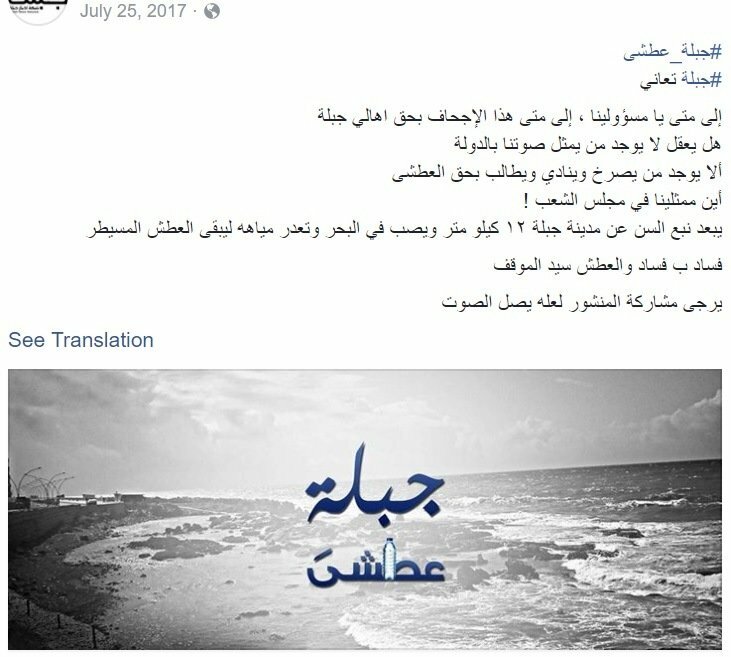 While the Minister of Finance has attempted to assure Syrians that there is a plan to boost the country’s flagging economy,19.http://www.alhadathnews.net/archives/330962 residents of Jableh took to Facebook in a now-removed post to 20.https://www.facebook.com/jable.news/posts/1949711521940698 ridicule Mr. Hamdan’s statements with comments such as “thousands of terrorists were killed and the government couldn’t eliminate one problem in the citizen’s life.” Local Jableh Facebook pages have recently complained about severe water and fuel shortages while another pro-government page claimed that water is deliberately being prevented from reaching coastal cities. 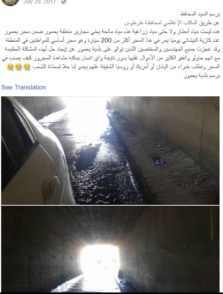 A post on a Jableh community Facebook page complaining about severe water and fuel shortages. 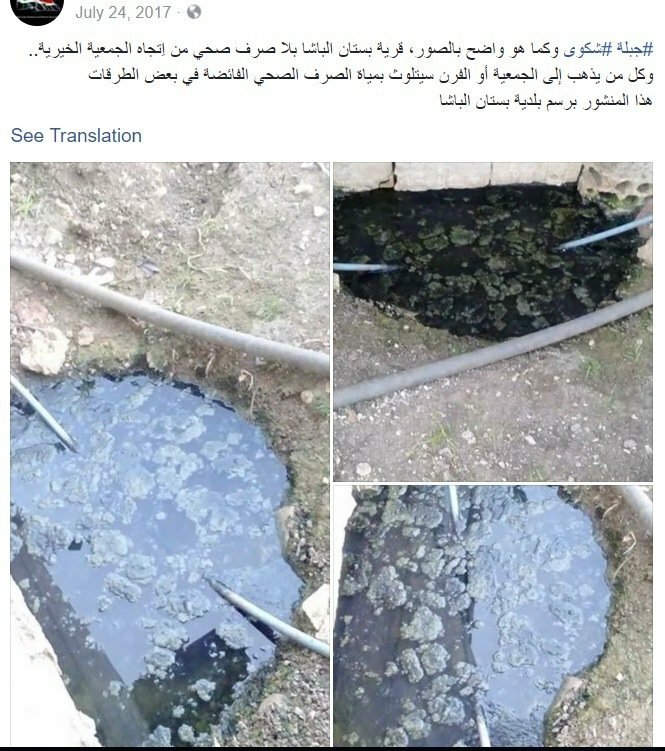 A pro-government Facebook page claims that water is deliberately being prevented from reaching coastal cities. 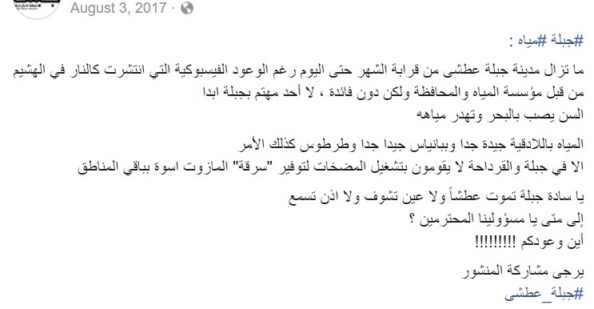 A pro-government Facebook post bemoaning the lack of representation in Damascus. 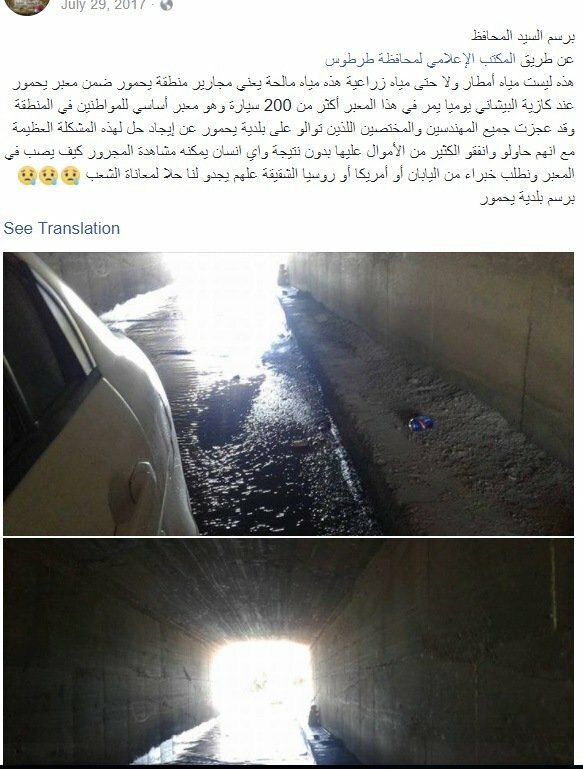 A tunnel in Tartous used “by 200 cars every day” flooded with raw sewage. The poster asks the mayor to seek help “from Japan or America or Russia” to find a solution. Raw sewage overflowing in the coastal village of Bustan al-Basha along the road leading to the town’s ovens. Any major military campaign against the rebel forces garrisoned in Idlib will likely begin next spring at the earliest, amid the peak of this food crisis. Yet it remains to be seen how Assad plans to “liberate every inch of Syria”27.http://www.aljazeera.com/news/2016/06/defiant-assad-vows-liberate-inch-syria-160607114315788.html while the growing anger and dissent among his supporters shows no sign of easing. As Syria’s economy continues to fail, Damascus’ ability to provide functioning state institutions will be pushed to its limits.28.http://www.atlanticcouncil.org/blogs/syriasource/the-awkward-space-for-syria-s-post-conflict-reconstruction?utm_content=bufferde114&utm_medium=social&utm_source=twitter.com&utm_campaign=buffer The cult of personality surrounding the al-Assad family will only go so far in ensuring that the country’s coast remains loyal enough to sacrifice more of its sons for a government that it feels abandoned it long ago. With each inch of Syrian land that Assad regains he appears to be losing the support of his core base, men and women who have paid a heavy toll in blood to retake the homeland.